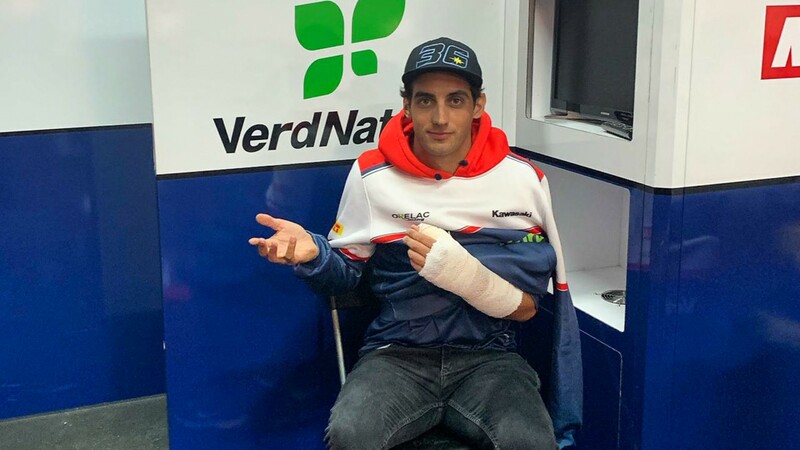 Leandro ‘Tati’ Mercado (Orelac Racing VerdNatura) will not be able to participate this Sunday in the final races of the Motocard Aragon Round, after suffering a heavy fall at the start of Saturday’s Race 1 of the MOTUL FIM Superbike World Championship. The incident happened in the first lap of the race, when the Argentinean rider received the impact of another rider and was launched off of his Kawasaki ZX-10RR. 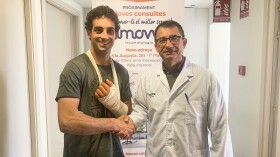 Mercado was taken immediately to the circuit’s Medical Centre, where he was found to have suffered a possible scaphoid fracture on his left wrist, an area which the rider has previously had surgery performed on. Jose Calero, Orelac Racing VerdNatura team owner, has explained that the team is in contact with the medical team in Barcelona and studying the next steps to take. Mercado will undergo further medical tests on Monday, in Barcelona, which will help to determine both if there’s a need for surgery and an approximate recovery period. Follow all the action and every update of the Motocard Aragon Round thanks to WorldSBK VideoPass.